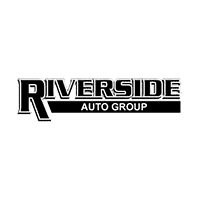 At Riverside Auto Group we offer a Lifetime Limited Powertrain Warranty on all new vehicles, good for an unlimited time and an unlimited number of miles! Which vehicles come with the Lifetime Warranty? The Warranty applies to all new vehicles, as well as qualified pre-owned vehicles that have passed our Lifetime Warranty certification program and a CarFax or similar inspection. How long is the Lifetime Warranty really good for? Can I get the Lifetime Warranty at another dealer in the area? No. Our dealership has been chosen as the select dealership in the area to offer this Lifetime Warranty. Is there any extra maintenance required to maintain the warranty? No. You must simply follow the manufacturer’s REQUIRED maintenance schedule as referred to in the owner’s manual. Do I have to have all of my service completed at your dealership? Where am I covered by the Lifetime Warranty? The Lifetime Warranty is good anywhere in the USA or Canada. Our dealership provides this product as an added value to our customers for doing business with us. The only “catch”? You have to buy your vehicle here! The components covered will be the exact same as the Factory “Powertrain” Warranty, and including the items listed above.